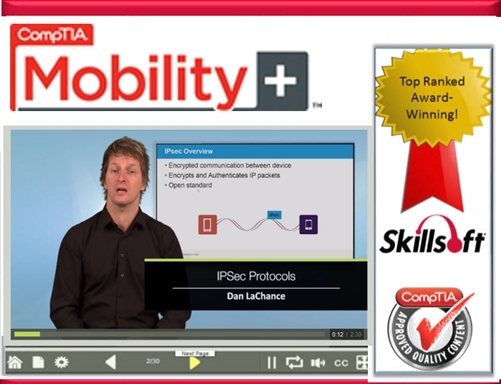 This comprehensive package includes self-paced, online training to prepare you for success with the CompTIA Mobility+ exam (MB0-001 ) - with complete end-to-end instruction, key topic videos, and live mentoring - plus features for easy reference and quick answers on the job. Skillsoft is multi-year winner of the widely recognized Elearning! Magazine ‘Best IT Content’ award, with proven effectiveness for skill development, retention, and application on the job.